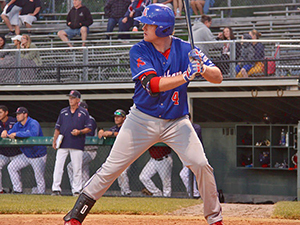 The Anglers current first baseman from Richmond, Kyle Adams, grew up visiting his grandfather’s home in Chatham, and attending baseball camp coached by a team that he is now honored to be part of. 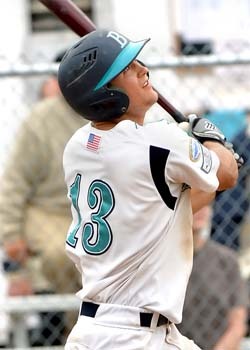 For the 2009 Cape League season, the Yarmouth-Dennis Red Sox scouted a native Floridian playing for Florida Gulf Coast University. 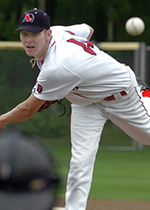 That summer a tall, lanky LHP at 6 feet, 6 inches tall and weighing 180 pounds named Chris Sale, donned the Red Sox uniform. 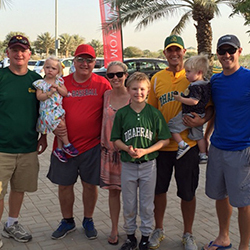 Mark Hallberg is no stranger to baseball. 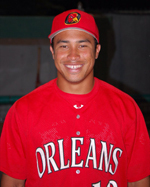 After five years playing professionally, he began coaching to provide insight on what he’s picked up after being drafted by the Arizona Diamondbacks. 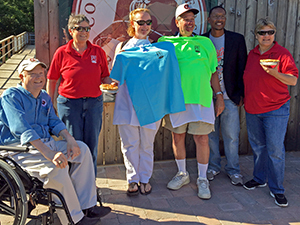 Lowell Park hosted the Cape Cod Baseball League’s first Father’s Day blueberry pie eating contest on Sunday, June 19, 2016, before the Cotuit Kettleers took on the Hyannis Harbor Hawks. The event was generously sponsored by Centerville Pie Company. On a day tailor-made for baseball, the Wareham Gatemen waited patiently for their CapeFLYER ride to the field. 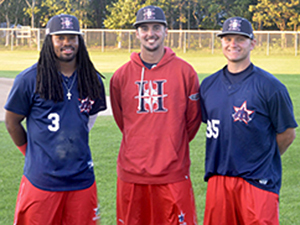 Not often do three childhood teammates go on to play NCAA Division I college baseball against each other, and even less often do those same three players wind up on the same team in the Cape Cod Baseball League—but that’s the case with the Harwich Mariners’ Nick Brown, Logan Farrar and Nick Feight this summer. CHATHAM, Mass. - Every June when college players arrive, towns on the Cape seem almost dead. 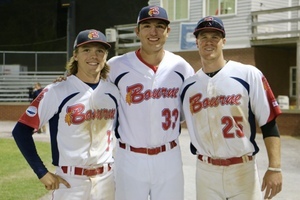 For three Bourne Braves, childhood dreams became a unique reality. David MacKinnon (Hartford), Ronnie Rossomando (UCONN), and Willy Yahn (UCONN), each natives of New England, now play in the very league they grew up around. 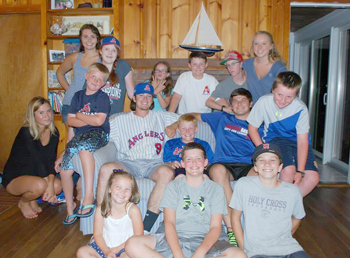 COTUIT, MA – On Father’s Day, June 19, right before the Cotuit Kettleers and Hyannis Harbor Hawks put a smile on fans faces, dessert-loving die-hards will face off in a blueberry pie-eating contest sponsored by the world-famous Centerville Pie Company. For the fourth straight season, Fox College Sports will telecast a Cape Cod Baseball League Game of the Week to a national audience available to 60 million homes. HYANNIS, Mass. – The first round of the 2016 Major League Baseball First-Year Player Draft was dominated by Cape Cod Baseball League alumni with 14 of the top 34 picks in the first round. HYANNIS, Mass. 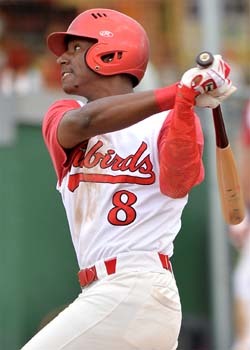 – One of the most consistent themes of past Major League Baseball drafts is the profusion of Cape Cod Baseball League alumni selected in the early rounds of the Major League Baseball draft. The Cape Cod Baseball League held its annual First Pitch Brunch on Sunday morning, kicking off the 2016 season at the Ninety Nine Restaurant in West Yarmouth. 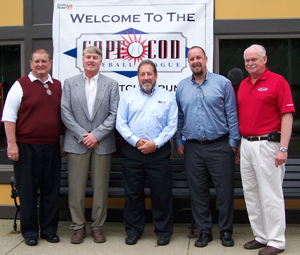 The Cape Cod Baseball League Hall of Fame includes 151 inductees. WEST YARMOUTH, Mass. – After a one-year hiatus, six former standouts will be inducted into the Cape Cod Baseball League Hall of Fame. 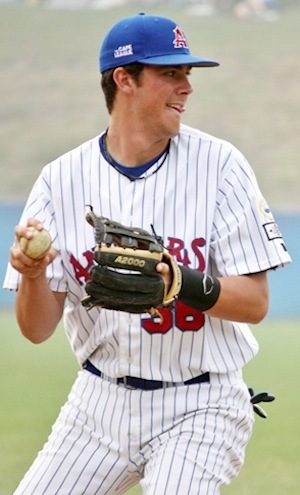 One of the most highly-touted Cape League prospects in recent memory was Chatham’s Kris Bryant.